Back when I was on holiday in Thailand around October last year I went in to my very first Sephora just outside of Bangkok...and needless to say, it was life-changing(ish). Not quite as life changing as feeding the tigers, but it definitely excited the inner crazy beauty-fanatic in me. I picked up a Stila eyeshadow palette which I wanted to share with all you beauty-fanatics because there's definitely not enough hype for this product. This is one of the palettes from Stila's four-part range, 'Eyes Are The Window', and the one I've picked up is called 'Spirit'. I'll add in a few pictures below of the other three options, fittingly named 'Body', 'Mind' and 'Soul'. They are mostly shimmery colours, with one or two matte shades. Now I don't have a preference over matte or shimmery colours, so when I buy palettes my only criteria is good pigmentation. In terms of pigmentation, Stila fits the bill. The selection of colours in this palette are perfect for my skin tone which is either very pale or kinda' sun-kissed glowy depending on whether I can be bothered to fake tan. What's more, this palette has all of the shades covered for every look, day to night...they've given you everything from the pale peachy bronze shimmers to the charcoal and burgundy shades. Most of the time I use this palette with my Naked Basics palette, using a matte from the Basics palette all over and using a shimmery colour in the crease from my Stila palette (my go-to being the more bronzey colours). Another pretty look is bringing the shimmery shade of choice along your lower lashline (hello bronzed goddess?). They're also super blendable so it's really easy to use more than one or two colours to create a pretty gradient. 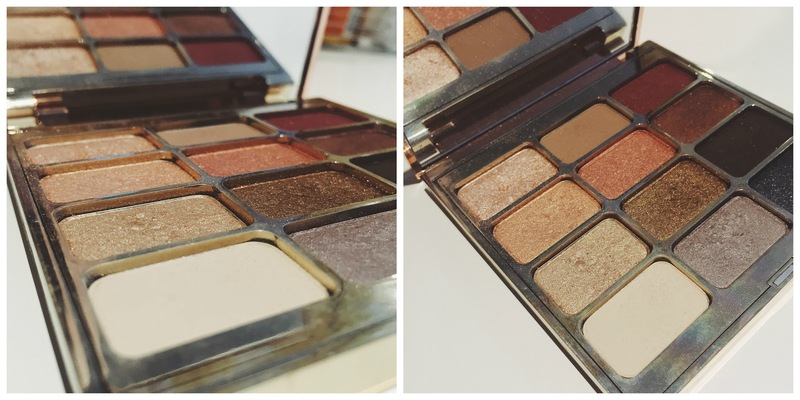 I love the brown shades on the Soul palette, I'd say go for it!